Jim’s Classic Garage & Auto Museum is the fulfillment of a life-long dream. After a successful career in commercial real estate, Chairman and Founder, Jim Sullivan, envisioned a unique educational program where students would develop a love of classic and muscle cars in a supportive and freestyle environment. Sullivan saw firsthand how students without a captivating vision or hands-on-mentoring were less likely to thrive and succeed in life. 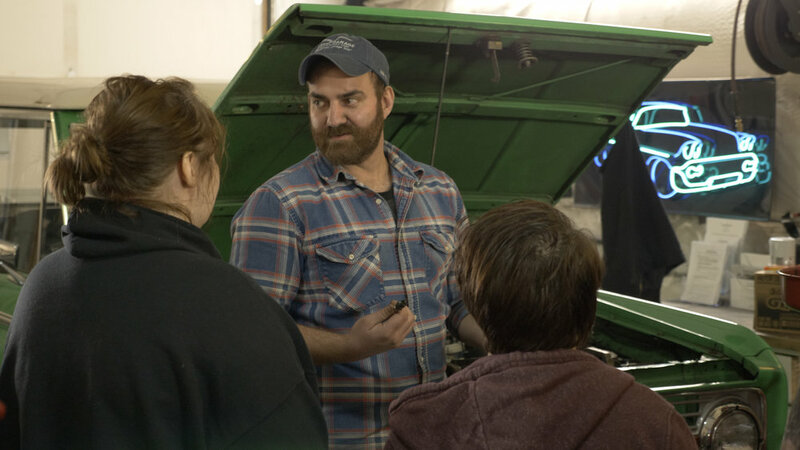 He came up with a plan to establish a school for students where professional automobile Technician-Teachers would show them how classic automobile restoration works. Students are taught to value and respect the vehicles, their craftsmanship and the stories behind each car. Introducing younger people to classic cars and teaching them to work on them builds self-esteem and a sense of accomplishment. The goal is that through teaching and modeling hard work and skill development, the student learns all aspects of how these great machines are built. There’s no better way to learn than to jump in and do it. The program empowers students who might not be destined for college and who need tangible skills as they enter the workforce. Each participant wins and so does the community. Jim’s Classic Garage & Auto Museum is a 501(c)(3) non-profit organization. "There are many ways to teach students who struggle in a conventional classroom setting. I did better in school when moving around and engaged. The clock was my nemesis, especially in history class. I watched that clock every day and could hear the second hand moving. We have found classic cars are a great way to teach history to kids in a non-traditional setting. At Jim's Classic Garage & Museum we have cars that Presidents and foreign dignitaries used to drive. We teach math the same way. We measure frames and compare the numbers to spec sheets on the car. Compression checks, firing orders, positive ground compared to negative ground. The best way to learn is to be hands on. That's the way we work at the Museum." Jim's Classic Garage & Auto Museum is dedicated to keeping classic cars on the road. Every donation to Jim's Classic Garage & Auto Museum changes lives by funding the teaching museum for teens & adults. While classic cars can be used for learning, we need cars to sell as well. Jim's Classic Garage & Auto Museum is a private, not-for-profit corporation tax exempt under Section 501(c)(3) of the Internal Revenue Code. Please consult a tax professional on the benefits of your donation. *On approval by Jim's Classic Garage & Auto Museum. Classic or contemporary vehicle donations should be in working condition or capable of running with minimal work. All donations are greatly appreciated and used as teaching aids or to fund museum operations. 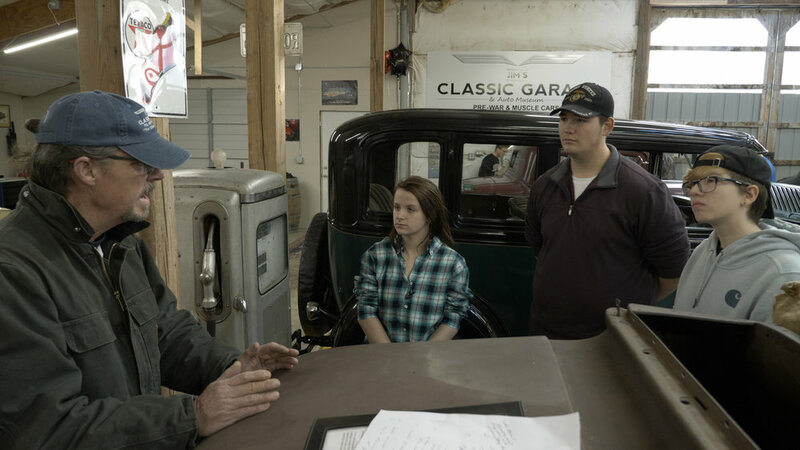 Jim's Classic Garage & Auto Museum offers a variety of classes for kids or teens interested in learning more about classic automobiles. We offer classes including detailing, electrical, interior, interior fabrication, metal fabrication, automotive painting and engine and transmission repair. We are passionate about helping students learn a wide range of marketable skills that make finding a career easier. If you have questions, please reach out, we want to hear from you. Does your son, or daughter dream of working at or running a successful company one day, but struggle with where to start, or how to ask for help? A full-service collector car concierge company run by high school, and college kids, is coming to Gig Harbor soon. In our second year of working with kids from Henderson Bay High School, we’ve learned a lot ourselves. The art of learning how to work on classic cars is not for everyone. The skills needed take time, especially when working on a variety of different makes and models. Then there’s the money, or lack thereof! Although we need to keep these cars in the forefront of everyone’s thoughts, it’s definitely not a job for everyone, especially generation X, and the Millennials. After talking to a few of our students, they agree that introducing a different element in our training/teaching, would help them significantly. Currently, our one-sided training gives these kids one-sided benefits. With a real business to run, this model can be used in any industry whether it’s classic cars (we hope!) or any business they choose to be in. CALL JIM AT 206-406-1313 AND SCHEDULE A TOUR OF OUR MUSEUM. Our Non-Profit 501c (3) Teaching Museum and the Concierge program we are building shouldn’t have to replace college either. Our program is meant to be a stepping stone in the long journey ahead for these kids. If you know of someone that would be interested in this class please contact Jim at the number above. Mr. Sullivan became interested in cars at the age of 13, when he first saw a 1958 Corvette. The car was rough looking and going through a restoration process at a local garage. He knew then he had to have one, and that he wanted to know more about the car. At 14, he went to work at the neighborhood service station where the head mechanic was the owner of the 58’ he fell in love with. Professionally, Jim pursued a career in commercial real estate, but his love for cars continued. 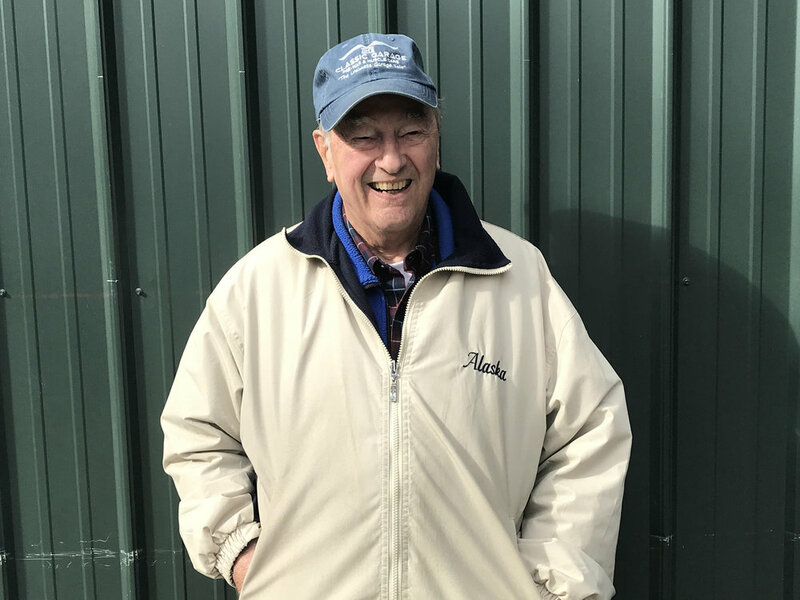 Fast forward 40 years and dozens of cars later, he is not only the proud owner of a restored 1958 Corvette, plus a dozen other cars, but is also the vision behind the growing automobile teaching Museum in Gig Harbor. Jim's passion now is not only working on vintage automobiles in his namesake garage, but in mentoring students in the fine art of classic car restoration. As a Gig Harbor native, Lisa aspires to bring quality service to the community personally and professionally. She enjoys an extensive reputation in commercial real estate in the northwest for almost 40 years, is known for being goal-driven and patient. Lisa's father, Jim Tallman, has been building cars for over 60 years. Lisa’s love of cars comes from having been involved in everything from helping her father drive cross country as a teen to helping put pieces of a car on a trailer and driving them home to Gig Harbor. Then she watched him painstakingly put it together one piece at a time. As a young teenager, she helped her dad conduct car auctions. Later in life, Lisa’s dad built the Classic Restaurant here in Gig Harbor. The entire restaurant was filled with old classics like Packards, Chryslers, Fords, Pierce Arrows and others. If that wasn't enough to show a love of classics, her dad also had a living room with space for three old brass era cars. 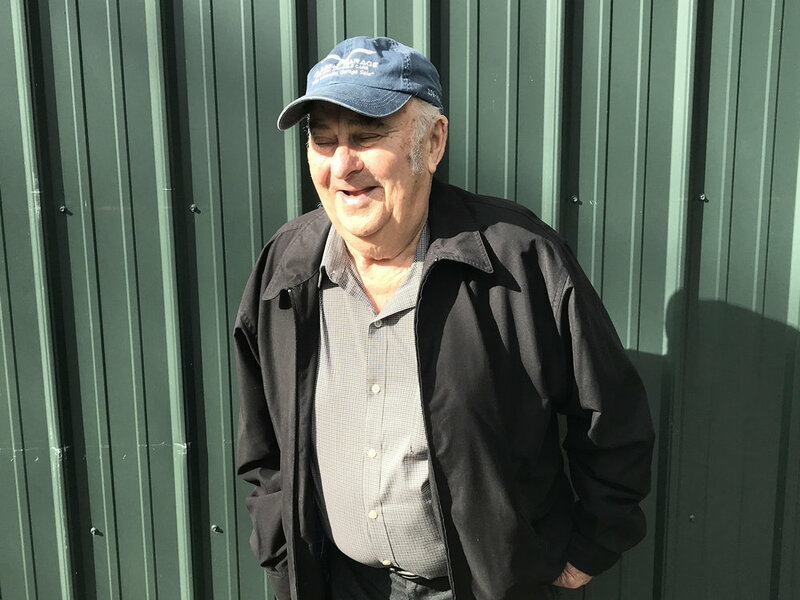 When James “Jim” Tallman was two years old, he moved from Deerwood, Minnesota to Olalla, Washington. The year was 1933. He grew up a hard-working young man equipped with only a chainsaw and a dream. He attended schools locally and formed a development and construction company, Talmo, Inc., in 1952. The company specialized in developing large lot subdivisions in the Puget Sound, peaking in the 1970’s with roughly 550 five-acre tracts per year. Activities employed in the development process included construction of roads and all underground services to the parcels. Talmo, Inc. also did a lot of logging work from the 1960’s-1980’s, employing as many as 90 men and owning over 50 large logging machines and trucks. As environmental challenges impacted timber cutting in rural areas, the company diverted its attention to land development and management services. Jim is still actively involved in the business. Jim and his wife, Dian, have been Classic Car Club Members for more than 40 years. Together they opened The Classic Restaurant in Gig Harbor in the 1980’s, where some of their collectable cars were on display for several years. Jim has been an avid restorer of rare cars such as a 1930 Phaeton, a 1931 Imperial Roadster, an Auburn V-12 Cabriolet and many more. Tom spent his early years working on cars and trucks in his father's garage. He worked on vehicles from the 1930's, '40s and '50s. He also learned hands-on methods of repair with advice and guidance from his father and the other mechanics in the garage. He has had a lifelong fascination with automobiles and in later years visited many museums and collections of old cars around the country. As a young man he rebuilt several old cars and used them as his principal transportation. He also financed his education by selling cars. He became licensed in the states of California and Washington as a professional engineer, ultimately owning and operating a well-known engineering company in Washington State. He has since retired, leaving the company in the hands of the younger engineers, who have continued to grow the business. His interest in vintage cars continues as he has volunteered to assist and mentor young people who share his fascination with the automobile. Seattle Children's Hospital holds a special place in our founder's heart. We are proud to work with SCH to help save lives. Seattle Children's Hospital is united by a compelling mission: Providing hope, care and cures to help every child live the healthiest and most fulfilling life possible. Seattle Children's Hospital delivers superior patient care, advances new discoveries and treatments through pediatric research and serves as the pediatric and adolescent academic medical center for Washington, Alaska, Montana and Idaho; the largest region of any children’s hospital in the country. Jim's Classic Garage & Auto Museum and the Peninsula School District have partnered to create a Freestyle Learning Program that teaches students about maintaining, fixing and restoring classic cars. Jim's Classic Garage & Auto Museum is honored to work with the Peninsula School District on this new learning platform. If you would like to find out more about our Freestyle Learning Platform, call us at (206) 406-1313. From basic biology to programs that enhance the quality of life for survivors, the world-renowned scientists at Fred Hutch take an innovative and comprehensive approach to understanding and eliminating more than two dozen types of cancer and other life-threatening illnesses. Fred Hutch breaks down barriers between labs, disciplines, and individuals, enabling pioneering research that pushes the boundaries of scientific knowledge and radically improves peoples’ lives far beyond their campus.